Ruthless is ready to answer any and all questions you may have about the variety of trips we have to offer. Our vintage boat always loves to untie from the dock, no matter what the trip! So please inquire here. Provide us the dates you will be on Roatan, so we can plan the most enjoyable trip for you. We are probably out on the seas of Roatan with limited service, so please be patient. We will respond to you in 1-2 days. Thank you for contacting Ruthless Roatan Charters! We're probably out on the water right now with limited to no Wi-Fi, so please allow 1-2 business days for us to respond to your inquiry. Our most common pick up location for guests is in the heart of West End at Half Moon Bay. 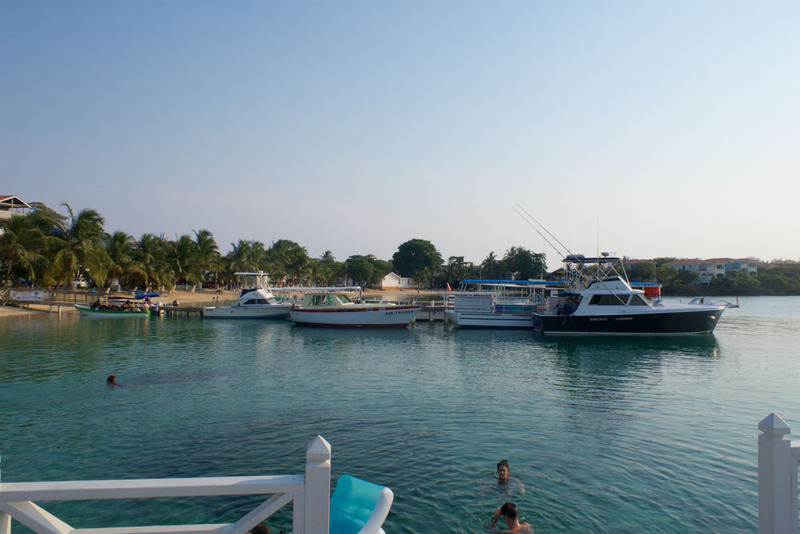 Just look for our boat docked up directly opposite Coconut Tree Dive Center & Restaurant. We will provide you with specific details surrounding your pick up based off the details for your charter.